Order in the next 9 hours 9 minutes and your package will dispatch on Wednesday, April 24. 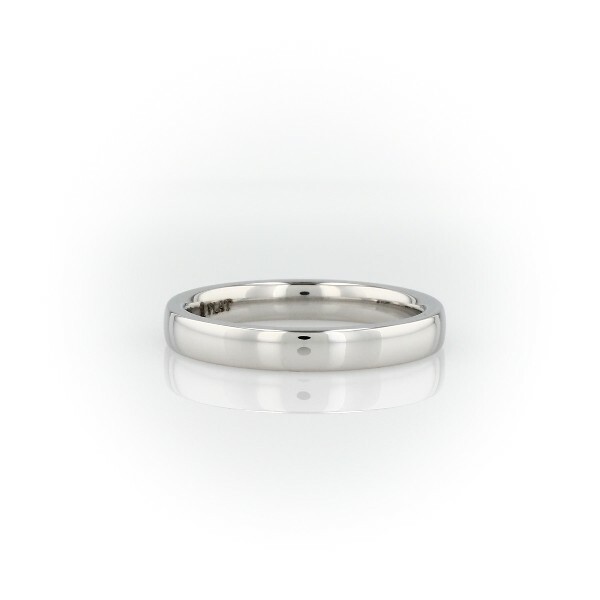 Styled for a modern look, this platinum, low-dome comfort-fit wedding ring has a premium-weight feel and a high polish finish. A contemporary, low-profile exterior and gently curved interior edges make the ring ideal for comfortable everyday wear.